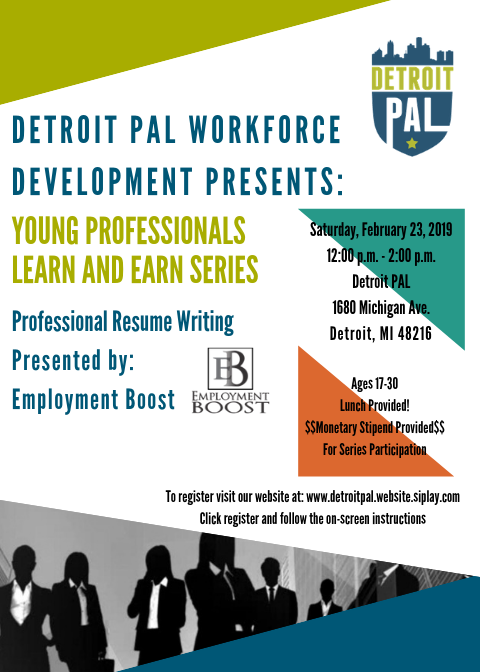 Join Detroit PAL’s Workforce Development Learn and Earn Series on February 23, 2019 for a workshop on professional resume writing with Employment Boost. The workshop will be held at our headquarters, The Corner Ballpark presented by Adient (1680 Michigan Ave, Detroit) from 12:00 p.m. to 2:00 p.m. Lunch will be provided, as well as a stipend for attendance.